There’s something so satisfying about hearty, flavorful soups in the winter. Butternut squash is a classic, but sometimes it can lack enough flavor for me. 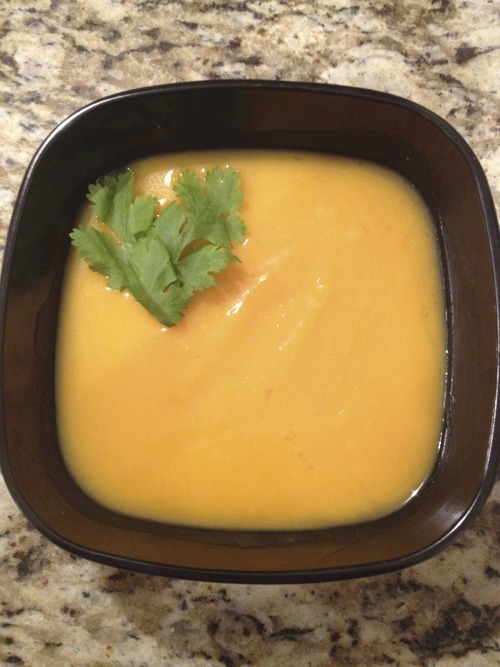 I recently tried a curried butternut squash soup that had more than enough flavor. It was delicious and pretty easy! Dealing with butternut squash, when not pre-cut, is time intensive. So if you’re in a rush, try to buy it pre-cut. However, if this isn’t an option, I would recommend microwaving it for a few minutes. Then cut off the bottom so you can set it upright on the cutting board and peal off all of the skin. Then cut it into cubes. I was able to find Thai red curry paste at my local Safeway (although it did take asking a few employees for help).